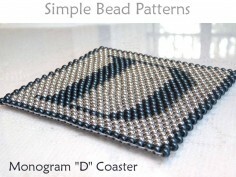 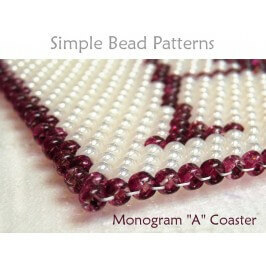 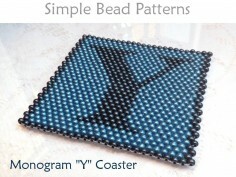 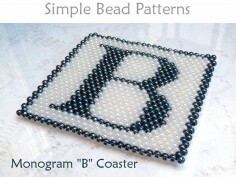 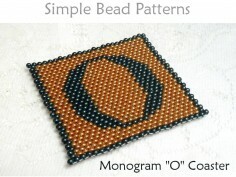 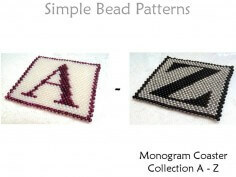 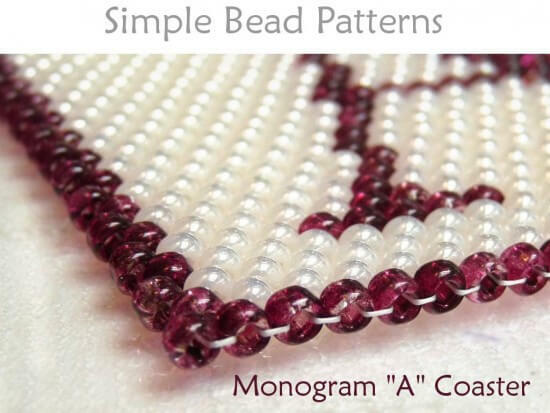 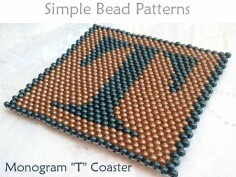 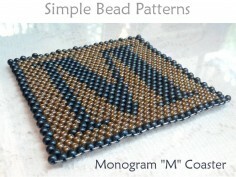 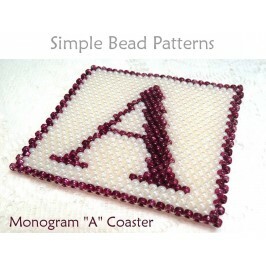 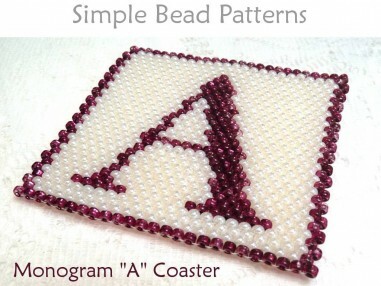 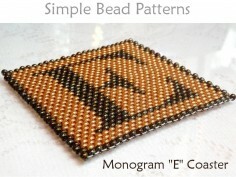 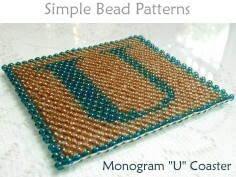 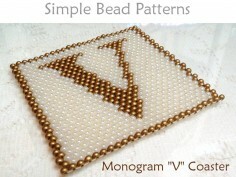 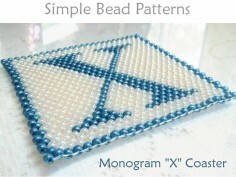 Learn how to make a beaded letter “A” coaster with this DIY monogram coaster beading pattern by Simple Bead Patterns. 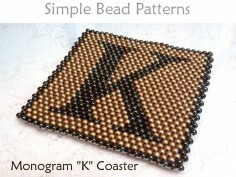 Beaded monogram coasters add an elegant touch to your home decor. 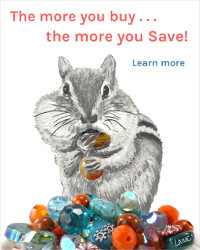 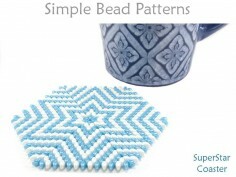 They also make an impressive hostess, housewarming and holiday gifts that your friends and family will cherish forever. 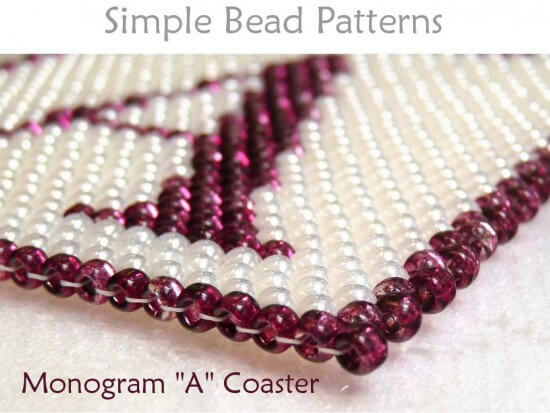 This simple beading pattern, with over 35 high-resolution full-color photos, a peyote graph diagram, and very detailed, easy to follow, step-by-step directions, will teach you how to make this beautiful peyote monogram “A” coaster that measures approximately 4 x 4” (10 x 10 cm) in your choice of colors. 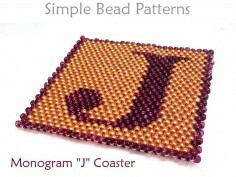 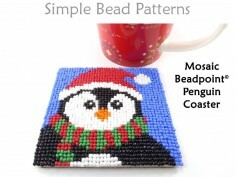 Be sure to check out our other letters of the alphabet, as well as out many unique and lovely beaded coaster patterns. 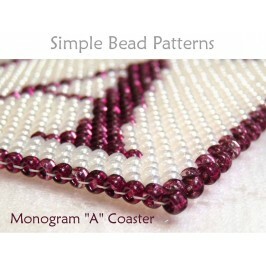 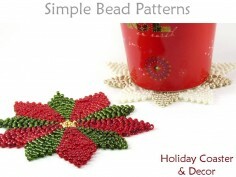 And, as always, bead happy!